Blog Firefly Flies with New Motor and Who Knows What Else? 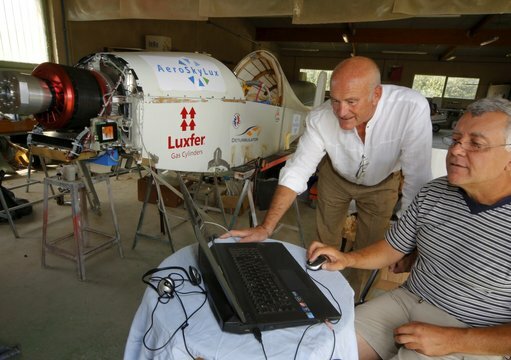 Jean-Luc Soullier and Roman Marcinowski forge ahead on two fronts to set electric flight records. Longer term, we hope to see first flights of their motorized Windward Performance Duckhawk, modified for long-distance flights and a crossing of the Atlantic Ocean – perhaps as early as next year. In the meantime, they are putting the finishing touches on their already record-setting Colomban MC-30 Luciole (Firefly), now with its third motor, significantly larger and more powerful than previous powerplants. 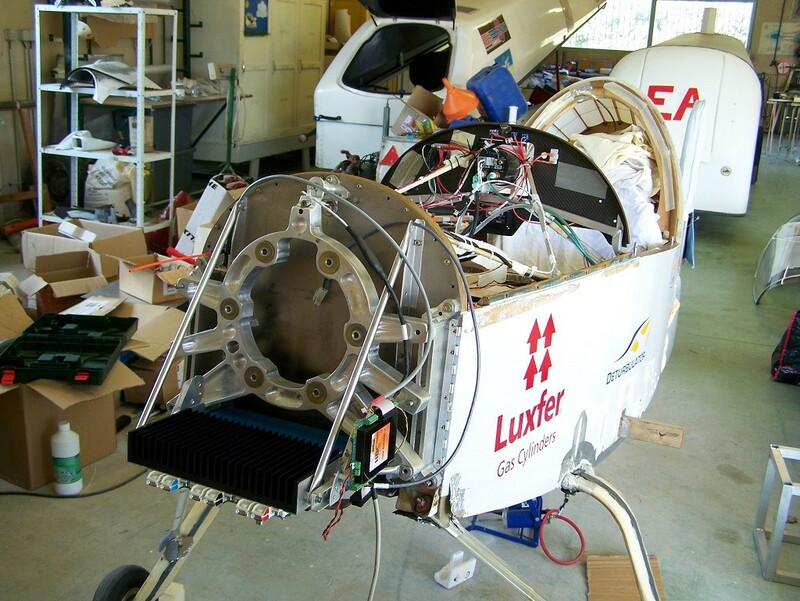 Making an initial test flight on October 30, Jean-Luc managed an impressive climb rate, even at partial power. Last year, the team stated their hoped-for records to come. 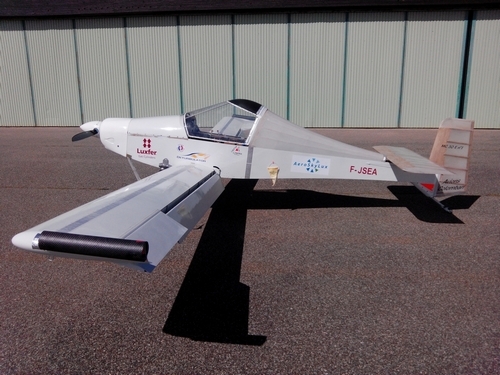 The first flight of the newly configured Luciole was “to verify the longitudinal controllability (in consideration of the new centering), the functioning of the adjustable pitch propeller and the electric stability of the set batteries + controller.” Positive results on all counts give great hopes for the ensuing trials. Jean-Luc was gentle on the throttle with only partial power used even in the climb. Despite the moderation, the airplane showed a peak rate of climb of seven meters per second (1,388 feet per minute) and reached 2,850 feet in quick order. It also, again at a modest throttle setting, achieved a maximum true airspeed of 151 kilometers per hour (93.62 mph). 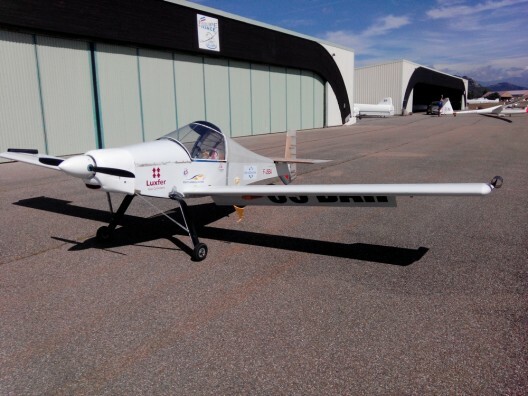 Since earlier tests with a smaller motor, but the same propeller had shown 120 kph (74.4 mph) at only 5.5 kilowatts energy use, it’s obvious the new setup has a great deal of promise for going after more FAI world records. The electric Luciole will sport Dr. Sumon Sinha’s deturbulator tape, already proven on early record flights on the airplane, and possibly a different approach to reducing wing-tip drag associated with rectangular wing planforms. The cylinders at each wingtip ostensibly straighten the outward flow that would otherwise lead to induced drag tip vortices. Whether these will be used or not is speculation at this point, since pictures on several web sites show the airplane with and without them. Coming flights will test the new propeller blades manufactured by Arplast (which also manufactured the variable pitch hub). The original blades suffered a bit from the powerful motor. With the care he exercises on all his test flights, Jean-Luc will advance toward maximum performance, testing the limits of the small plane and preparing to demonstrate its performance capabilities to the world.